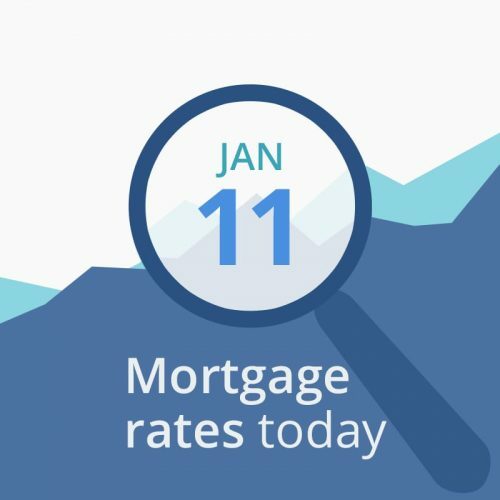 Average mortgage rates today did not change — except for conventional (non-government) programs. The big news, which is great for mortgage borrowers, is that the Consumer Price Index (CPI) fell for the first time in nine months! Mostly due to lower gas prices. The consumer price index slipped 0.1 percent in December to mark the first decline in nine months. It’s the first time it’s fallen below the key 2 percent mark since August 2017. This is good news, as lower prices make our wages go further and possible keep the Fed from enacting rate increases in the near future. This morning’s data are looking much better than yesterday’s largely to the results of the CPI. CNNMoney’s Fear & Greed Index remains at 30 (out of a possible 100). That score is in the “fear” range, but unchanged. The direction of movement is neutral for rates. “Greedy” investors push bond prices down (and interest rates up) as they leave the bond market and move into stocks, while “fearful” investors do the opposite. It’s Friday when lenders to price a little higher than they otherwise would. You can probably afford to float a day or two if it will get you into a better tier — for example, a 15-day lock usually has a .125 percent lower rate than a 30-day lock. But if today’s reduction got you into your strike zone and you need to close quickly, grab your rate.